Keyloggers play an important role in keeping an eye on tech-savvy children’s mobile activities and protecting their safety online. The latest iPhone keyloggers provide a variety of features – with an exceptional function of recording every keystroke entered onto the particular device, even when the user does not tap send. Keyloggers for mobile devices are readily available by different companies. Some companies are providing this app for free while others are charging a small price. This app records all the things that are typed into the targeted apps. It incorporates the search terms, messages, and the deleted texts. This app is useful for the business owners who do not want their business information to be leaked. Also, parents can also use this app to keep an eye on their children activities. In short, this app can be used ideally for both personal and professional use. How Does A Keylogger for iPhone work? Whenever something is typed into any target app, for example, a message is typed on WhatsApp, then the Keylogger for iPhone will trace the keystrokes and deliver them to the protected log file in the user’s online portal. The users need to sign in to their portal and select the Key Logs to have access to the saved data. Choose from the list of the apps supported and then view what has been typed into the protected log file. If you are searching out for a particular keyword, then you need to use the search function. This function will filter out the keyword from the saved information and show it to you. iKeyMonitor is a keylogger for iPhone – amongst the best ones on the market. It is commonly used across the globe by many iPhone users. Some people name it as Parental Control App while some call it as Business Monitoring App. These are just the nicknames of this app that shows its usage. In general, this app is used to monitor the voice messages, pictures, videos, SMS, GPS, websites, keystrokes, blocked apps, games, screenshots as well as calls. iKeyMonitor is an excellent green app which is safe to use. Log Texts typed in any app – It can easily monitor the particular apps by recording the typed keystrokes. Record Chats Entered – This app records all the characters entered from the virtual keypad of the iPhone. It does not matter which supported app the user is using, the keystrokes will be traced and stored in the log file. View Actual Screen Activities as Slideshow – This app has a screenshot feature which is quite a spontaneous way to locate things that the users do on their particular device. The activities are shown to the user in the slideshow. View Logs Remotely – In case the users want to view the logs locally onto their device or in a LAN network then they can choose the option of their choice. Also, the users also have an opportunity to get the logs to their email or online FTP account. Tamper Proof – If the users want to protect this app from unauthorized access, then they can set a password and personalized access code. It helps the business owners to control and monitor the activity of their employees. In this way, they can make absolute safety against the internal threats and the avoidance of information loss. It is an essential tool for parents who want to keep track of their kid’s online actions. It implies beginning a dialogue about the dependable decision-making to step in at the first signal of wrong usage or communication with strangers. People can use it personally for backing up their typing history. It is an easy-to-use app for confirming terms of contract with the contractors as well as consumers. The main advantage of using this app is that it records all the deleted text too. If you want to check every keystroke of yours in the supported apps, then you need to open the log file. 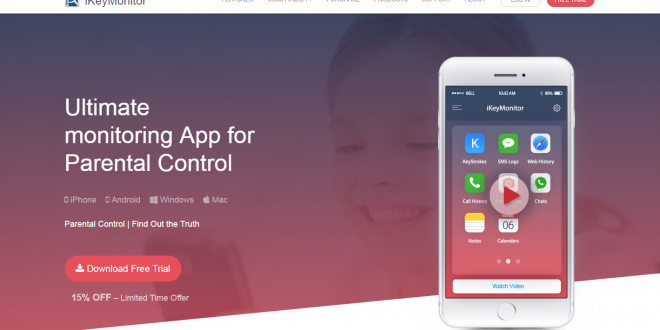 For parents and employers, a professional and reliable keylogger for iPhone like iKeyMonitor may greatly reduce the efforts of taking care of kids and increasing employees’ productivity as well as catching insider threats. iKeyMonitor provides a three-day trial version for all users. Register one account and try now! Next: Does Your Company Need a Data Scientist?